I have been reading a book by Os Guinness entitled “Fool’s Talk: Recovering the Lost Art of Christian Persuasion.” In his book Dr. Guinness talks about how we have to move from convincing people to become Christian to persuading them to search for Christ. Towards the end of the book he talks about the dangers of revisionism. Revisionism advocates for change in longstanding doctrines that the church has believed to be true over the course of thousands of years. Guinness speaks to the dangers that revisionism has on the Church and Christian Orthodoxy. Revisionism is not just a liberal concept it can be found in both the liberal and conservative wings of Christianity. What Guinness has to say is both telling and challenging. It is telling because it is becoming more widespread it is challenging because it calls us to action. It requires us to do more than sit back and wait for the dust to settle. What we believe to be true must be founded in love but we must be faithful to what is true. How does this play into kids and youth ministry? We can no longer teach our kids to be good citizens we must prepare them to be Christian advocates. We must teach them what is true so they do not make decisions based on what they experience, that feels true. Our job as pastors of the young in our flock is not just to create spaces that are creative and fun but we must teach them what is true. Relevance is not giving people what they want, it’s giving them what they need. Relevance is not giving people what they want, it’s giving them what they need. Sometimes they don’t even know they need it. What kids need from us is a is not just facts about life and ways to do life better they need a new framework to see the world. Without a framework their facts about life will wither under the relentlessness of the experience that our generation uses to trump truth. We can not run away or put our head in the sand we must meet the challenge of our day full force with the timeless truth that has been handed to us. Here is what Os Guinness says in his book “Fools Talk” about liberal Christian revisionists. 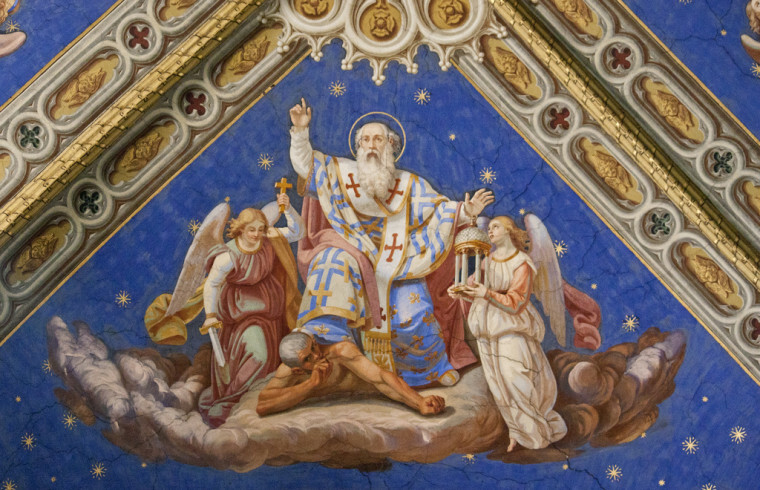 Christian advocates, then, must be ready to focus their attention on those inside the church as well as those outside— resisting modern revisionism just as St. Paul resisted ancient Gnosticism and St. Athanasius stood fast against Arianism and the world of his day. Are today’s evangelists and apologists prepared to count the cost and pick up their crosses again and truly be contra mundum— even to the point of scorn, shame, and perhaps imprisonment and death? Let there be no misunderstanding: the greatest crisis now facing the church in the West today is the crisis of authority caused by the church’s capitulation to the pressures of the sexual revolution, and in particular to the bullying agenda of the Lesbian-Gay-Bisexual-Transgender-Queer coalition. It will not do for evangelists and apologists to keep silent for fear of losing opportunities to present the gospel. As Luther made plain in his day, to fight the battle at any point other than where the battle is being fought in one’s day is to lose the battle. Pastor Martin Niemoller’s famous regret in failing to stand against National Socialism in his time carries an equivalent warning for evangelists and apologists today. They raised the question of authority, but I was an evangelist and an apologist and not a theologian, so I didn’t stand up . . . There is no question that the inside task is far harder and more thankless for apologists than addressing the open enemies of the church. It requires a costly courage as well as faithfulness. Outside attacks often stiffen Christian responses, whereas inside revisionism saps the strength of believers through its many confusions, betrayals and the overall discouragement of opening ourselves to accusations of self-righteousness. In short, extreme revisionism today is nothing less than a toxic form of anti-apologetics and calls for a robust response. But we are not just defending ourselves, Christian orthodoxy, the church itself or even the Christian faith. We are standing up for the honor and the name of the One in whom we trust and whom we love. It is Jesus and his Father whom the revisionists are betraying, and so long as this is so, Christian apologists have a job on their hands. The name of God is dishonored and the defense must never rest. We must prepare our kids to not only know Bible truth but have a robust response that is grounded in truth, in tradition, and in love. We have fought and lost in many ways the value of Christian community our kids will have to fight in an increasingly contentious world for the authority of scriptures that revisionists on both sides want to erode. Truth is given to us through the word of God we must handle it with pray filled faithfulness. Truth is given to us through the word of God as those who hand it to the next generation we must handle that truth with care and with prayer-filled faithfulness. Here is an excellent exchange between Rob Bell and Andrew Wilson discussing the topic of Homosexuality and the Bible. I found it particularly instructive how Andrew Wilson spoke the truth in love to Rob Bell who I believe to be a perfect example of a modern revisionist. Man interpreting the Scriptures according to ” what he thinks”. God didn’t stutter when He said in Leviticus 18:22, Thou shalt not lie with mankind, as with womankind: it is an abomination. If God didn’t mean what He said here in this verse and allowed Paul’ s writings including Romans 1 in His Word to be published throughout the ages, wouldn’ t that mean that God would and should apologize for Sodom and Gomorrah?! I just pray that we find the courage to stand with God even if it means standing alone sometimes. Sympathizing with the world just negates God’s view of things.